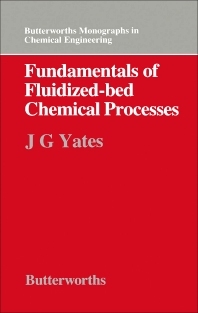 Fundamentals of Fluidized-bed Chemical Processes presents a survey of the design, operation, and chemical processes of fluidized-bed reactors. The book is composed of five chapters. The first chapter examines the basic physics of gas-solid fluidization. The second chapter shows how the physics of gas-solid fluidization may be combined with chemical kinetics to generate models of fluidized-bed reactors. Chapters 3 and 4 deal with two major applications of gas-solid fluidization, the Fluidized Catalytic Cracking process and the combustion and gasification of coal. The final chapter analyzes other processes used in the production of chemicals such as phthalic anhydride, acrylonitrile, and compounds of uranium. Undergraduate and postgraduate students of chemical engineering, engineers, chemists, and scientists will find this text useful.